Time once again for the Roar of Engines at Las Vegas Motor Speedway! NASCAR Weekend is from March 2nd through the 4th. Qualifying and three races highlight the event this year. It all kicks off on Friday, March 2nd, with weekend qualifying; and the Stratosphere 200 NASCAR Camping World Truck Series Race. Saturday has the Boyd Gaming 300 NASCAR Xfinity Series Race; and then the Big One on Sunday, the Pennzoil 400 presented by Jiffy Lube Monster Energy NASCAR Cup Series Race. 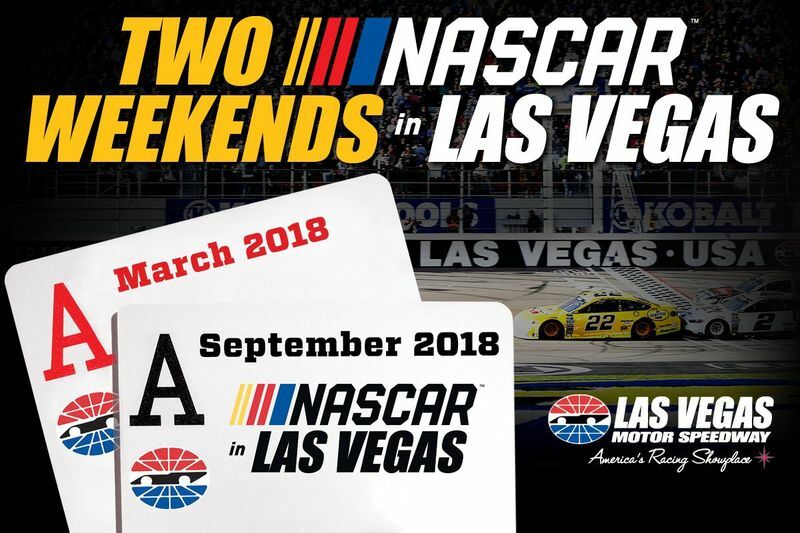 www.lvms.com has all the details. NASCAR is also back September 13th -16th, Make Your Plans Now! Newer PostThe Mob Museum Has a New Speak Easy! Older PostWelcome to Chinese New Year for 2018, The Year of the Dog!